“Ethicality entails hospitality to the stranger threaded through oneself and through all being and non/being.” – Karan Barad, physicist and scholar of the philosophy of science and feminisim. The body is one’s personal harbour of sensation. Energetic layers, skin or fascial membranes, enveloping and weaving through the body, are sensitive and malleable interfaces with the worlds outside of ourselves and the worlds within. Via stimuli it helps us understand with evermore refinement our relationships between our own body and to all other life and objects that we entangle with and at the same time differentiate from. We will use touch and sensing to communicate and extend our understanding of our own anatomies (physical and energetical anatomies) to that of another. We will build presence and skill for a response – able touch that provides opportunities for the organism to respond with agency. Anatomies and principles of the Axis Syllabus* will be referenced in guided explorations and lead into dances that touch upon multiple dimensions. *The Axis Syllabus is a constantly evolving reference system, or lexicon for the organization and cross-correlation of empirical and scientific findings from the study of human movement. This includes anatomical details, physics, practical applications, research, analysis and transmission. An Axis Syllabus class aims to create a collaborative learning environment and effective space for personal research. Kira Kirsch is a movement artist, community organizer, mother and initiater/curator born in East-Berlin. After many years from Vienna to Brussels to San Francisco, she now works and lives with her family in Berlin as residents of Lake Studios – an artist run dance, production and performance place. She has been pioneering, researching and teaching through the lense of the Axis Syllabus more than 15 years and is passionate about creating spaces for people to experience, expand and follow their curiosities. 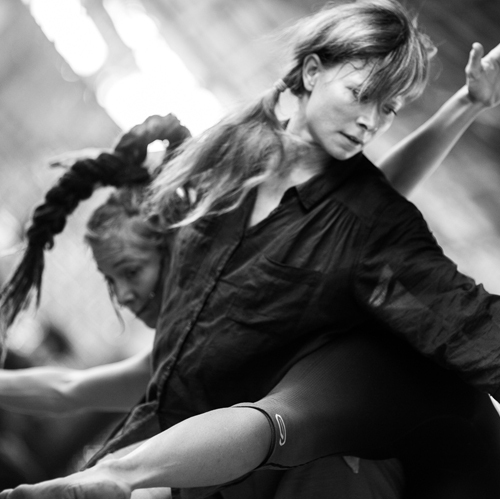 Kira teaches internationally and has a guest lecture ship at HZT – University of Arts in Berlin. As a performer most significant was working with visionary Sara Shelton Mann who challenges, inspires and increases potential and reason to be on this planet. Kira is a life-long learner and researcher that loves to immerse herself in a palette of relational practices that include energetics, cranio sacral, BMC, CI, touch based pedagogy, gardening, attentional tuning, ensemble dancing or conflict resolution approaches which shape her dancing, thinking and creative makings.